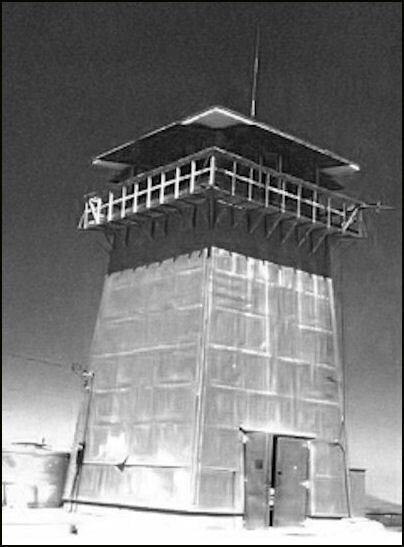 Once widespread across California, only four L-601 towers remain in the Dept. of Forestry inventory. Calandra Lookout with an BC-301 cab was constructed in 1944. The name of the mountain is actually Williams Hill. There is a stone and concrete monument at the site which has a bronze plaque that reads: “Calandra Lookout is named in memory of Assistant State Forest Ranger Joseph Calandra who saved a companion but lost his life in the Bixby Mountain Fire of 1939.” In 1945 Assistant State Forest Ranger Nesgis and Edward Gates of U.S. Forest Service died in a fire within sight of this station.